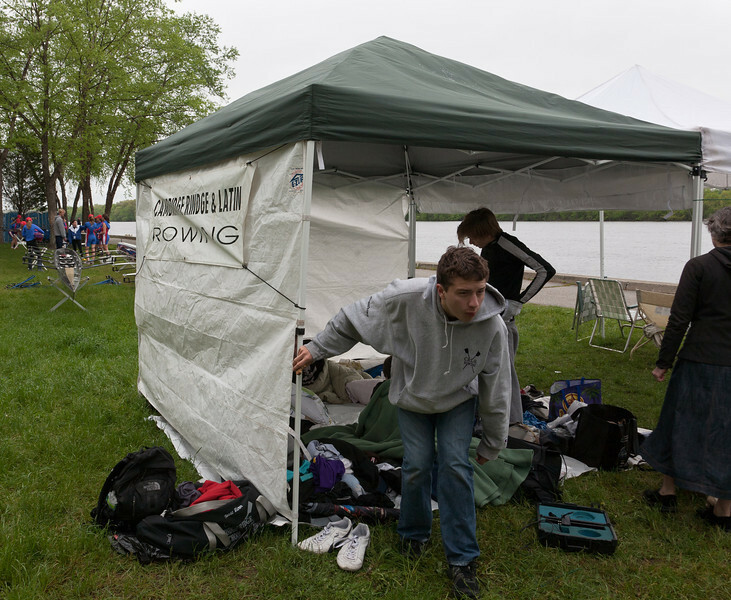 In May, CRLS went to the USRowing Northeast Junior Championships for the first time. These took place over a late-May weekend on the Merrimack River, in Lowell, MA. On Saturday the boys raced a Double and a Varsity Four. The Four got 3rd place in their heat and qualified for the Sunday finals. It was a frustrating day for the Novice Four since their race was cancelled, first for weather delays and then for an unfortunate incident (dead body found in the water!). I attended part of Sunday. The Varsity Four got 2nd place in their Semi-Final heat, and 5th in the Final. The Novice Fours did finally get to race, in a single head (staggered start) race for all boats. Our Cambridge boat won 1st place, just 0.53 seconds ahead of the runner-up! A tremendous victory, indeed.